Very Good. 0470097191 ALL BOOKS SHIPPED WITHIN 1 DAY OF PURCHASE! Good. Trade paperback (US). Glued binding. 364 p. Contains: Illustrations. For Dummies. You've always dreamed of riding horses. So what are you waiting for? It's time you realized your equestrian dreams and learned to ride like a pro on the back of a noble steed. 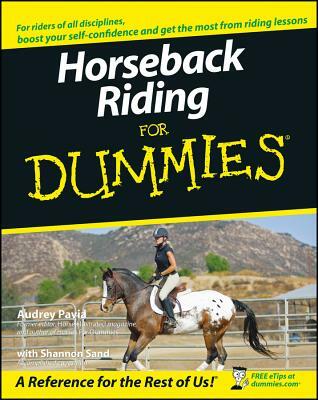 And Horseback Riding for Dummies shows you how. Don't know a horse's head from its tail, a trot from a canter, withers from a fetlock? No problem. Fair. 0470097191 FAST SHIPPING! ! No CD Included. Access code may be previously used. Heavy wear, wrinkling, creasing or tears on cover and spine. Heavy writing and highlighting. Cover has used book stickers or residue. Marker on cover or bottom edge of book. Book may have additional damage or defects not listed above.